When Tom, Rinesh and Perran founded DrDoctor back in 2012, a fair number of patient portals already existed. One they looked at closely was the original version of the South London and Maudsley Healthlocker which had the right sentiment but cost a lot of money to develop. The portal itself was very impressively functional, but onboarding people was laborious. This meant user numbers remained in the 100s. People would have to come into the hospital to meet someone and they were required to sign various different bits of paper in order to enrol. The process was clearly not ideal. Naturally DrDoctor didn’t want to end up with a user base of just a few 100 people, so the founders spent a lot of time thinking about the issues around how to best onboard patients. They landed on the easiest and most straightforward method; text messaging. Using text messages for onboarding allows for a simple and effective means of giving people access to our online portal. Our founder Tom used to be a member of a community of practice called London Connect. The practice connects clinicians and patients with technologists to learn from each other. Every three months or so, Tom attended meetings to engage with lots of amazing patients to discuss what they needed to make their healthcare journey smoother. He also spent time understanding what current personal health records provided. All the PHRs at the time were focused on deep, narrow areas of functionality but all shared the same problem of not having many users. DrDoctor decided to turn the concept around and aim to maximise patient reach and engagement first. The patients felt that access to their personal health records was great but what they really needed help with was booking and rescheduling their hospital appointments. They felt that the greatest impact on improving their day to day life would be through better provider to patient communication. 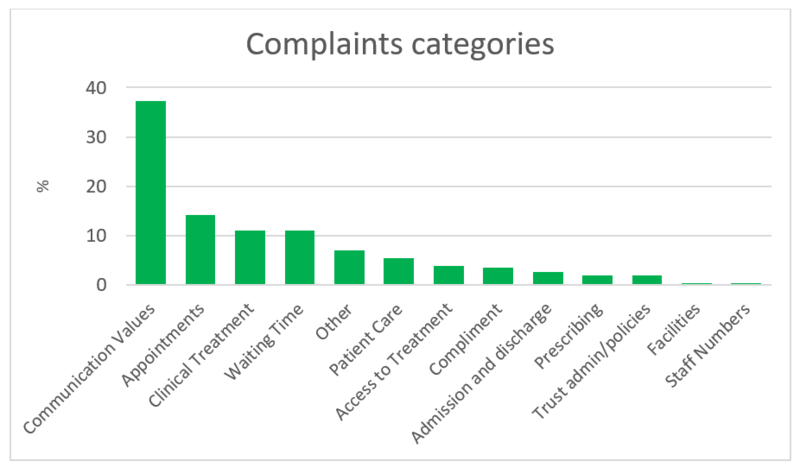 One of our partner hospitals reported that nearly 60% of the patient complaints they receive are regarding appointments and communication. The biggest issue in hospitals is not records access. It's important, but worthless without getting the basics right. The core DrDoctor strategy can be presented in the form of a triangle. You build the base of the triangle first as that must be sturdy and serve as the foundation for everything else that can be layered on afterwards. For us the base is text messaging and telling people where they’re going and why they’re going there. The next layer of the triangle is letting people change their appointments and view their letters. This is all simple, transactional stuff that is invaluable for patients. In addition to patient benefit, these simple, transactional things can directly drive financial savings. Patient records access is much harder to draw monetary value from. Financial savings can only really be drawn from operational change, which has to be transactional. The top layer of our triangle then is all of our additional value adding technology, like digital assessments. The DrDoctor hypothesis is that if you build something really well and make it work for everyone you can achieve great things. You can change process, save money and achieve greater reach which allows for more people to benefit. This is why our foundation (the base of our triangle) has been created with carefully crafted technology and our desire to help the NHS run more efficiently. How can I get the best experience for my patients? How can I get them the information they really need? How can I save some money at the same time? You can achieve all of this, but to maximise your own benefits, you have to get the foundations sorted first! Optimise your letters, the way your appointments are booked and how you remind your patients. Once you get that right, you can use it to enable wide-ranging digital transformation.